Introduction: Born in Iceland around the year 910, Egill is the son of Norwegians who immigrated to Iceland, and his saga is a biography of a warrior poet – who travels throughout the Viking world of the late tenth century. If Egils saga focuses on one individual and his family, the text is nevertheless wideranging and multifaceted. It offers a portrait of his time and tells of the passage of generations and the actions of strong-willed individuals. This saga, like many of the Icelandic family sagas, offers a broad portrayal of social and historical issues yet scholars for the past half century have tended to study Egils saga principally for its literary inventiveness. 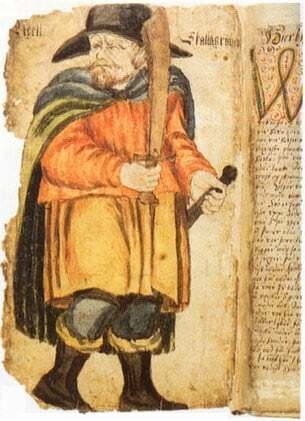 A good example is the introduction to the influential modern Icelandic edition of Egils saga in which the saga is said to be “Heilsteypt bókmenntaverk frá 13. öld” (viii) [a completely literary invention from the thirteenth century]. But is such a portrayal of the saga as invention correct? In this article, I explore this issue concentrating on matters other than the saga’s literary qualities. I turn to the socio-historical roots of the tale and treat Egils saga as part of an anonymous tradition of social memory. This tradition reveals deep concerns among medieval Icelanders with their cultural self-identity.